Preheat oven to 325 degrees F (165 C). 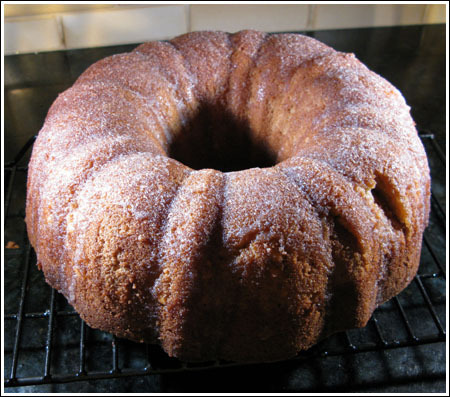 Spray a 12 cup capacity Bundt pan (or fluted tube pan) with flour-added cooking spray such as Baker's Joy. In one bowl, thoroughly stir together flour, salt, baking powder and baking soda. Set aside. In a measuring cup, combine milk, vanilla and Bourbon. In a mixing bowl, using high speed of an electric mixer, beat butter and both sugars until creamy. Add eggs one at a time, beating 30 seconds after each eggs. With a mixing spoon or lowest speed of mixer, add flour mixture and milk mixture alternately, beginning and ending with flour. When fully mixed, pour into pan. Place on center rack and bake for 60 to 80 minutes. The original recipe recipe said 80 minutes, but I used a dark pan and my cake was done in 60 minutes. Cool cake in pan for about 10 minutes, the carefully invert. Mix all glaze ingredients together. Using a pastry brush, brush all over cake.